We’ve created this page to share other resources that we think are useful to your business as an affiliate marketer or SEO services business. Zonode has a range of great web hosting and Virtual Private Server plans to suit your needs. High performance servers with the popular cPanel hosting control panel make it a breeze to set up your web site. BONUS: Use coupon BBH for $1 off on one order per account! We use HireWriters when we’re looking for content writers – basic PBN content can be had for as little as $14 for between 2000-3000 words, which is enough “starter” content for most PBNs based on their recommended pricing for an open job that can be picked up by any writer on their service. Recommended pricing is $3.25 for a 301-500 word article or $4.62 for a 501-700 words, perfect for additional blog content or link articles. You can also offer any price that you want to their writers. In order to get the best out of HireWriters, you should build a list of favorite writers and create private jobs once you’ve found some good writers who have picked up your open jobs. Google Analytics leaves a footprint that can tie all of your sites together, and make it easy for them (or any competitor) to find all of your sites. This is why we use Clicky – it creates a unique tracking code for each site, and the analytics that it offers are much more user friendly than Google Analytics. Hammerhead Domains is the place to go to find expired domains at an affordable price. With their custom coded crawler and spam filtering algorithms, Hammerhead Domains release a daily list of domains to their members that are available for registration at your favorite domain registrar. PBN Lab is your own personal expired domain crawler, hosted in the cloud. They’ve spent a tonne of time and worked with a number of big names in the internet marketing space to perfect their crawler, which automatically brings in metrics from Majestic and Moz, plus checks for domain availability – and all of that is included in the monthly service fee. Visit PBN Lab and Start Scraping for your Own Domains Today! 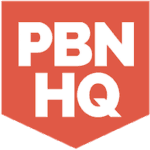 PBN HQ is a marketplace for expired domains that have already had their history fully checked for spam and other undesirable content, making their domains ready to use. Once you buy the name of a domain from PBN HQ (most are $10-$15 each), you then register it with your favorite domain registrar, like Namesilo or Namecheap. DominatingPBNs offer high quality non-dropped domains that they pick up from the various domain auctions. Their team hand pick and manually check the quality of the backlinks of each of the domains that they purchase to ensure that their Auction Domains Marketplace is always stocked with high quality domains. Use coupon BulkBuyHosting for 10% off whenever you order!